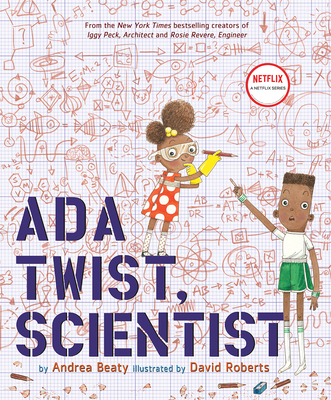 Born a true scientist, Ada Twist's first words, not spoken until age three, were "why" "when" and "how". Ada gets into her fair share of messes, but that's what scientists do! And while her parents may sometimes fall into exasperation, they never doubt her brilliance or fail to encourage her repeated requests of "Why?". Though they do stop her more risky experiments... like preventing her from finding out what will happen if she puts the family cat in the clothes dryer.